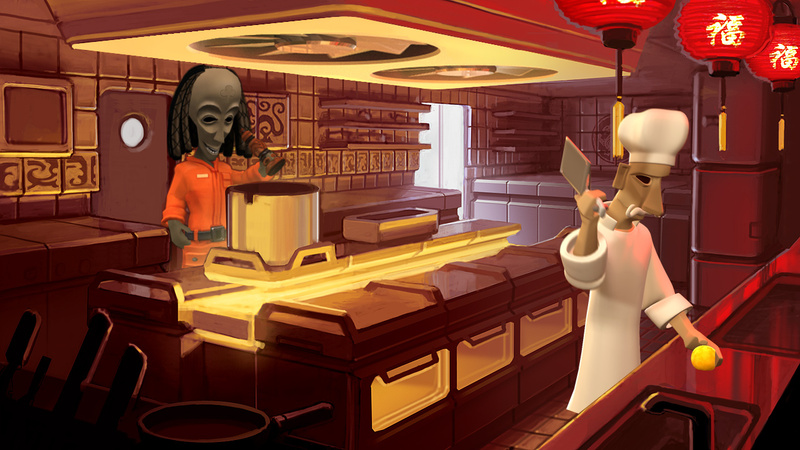 In order for a point-and-click adventure game to work, it has to make the player understand how its world works. Players have to believe, based on the information they've been given, that a rubber chicken with a pulley in the middle will be useful later, or that a chart of tentacle anatomy can be made into a convincing flag, or stale breadsticks can totally be used as ladder rungs. The Journey Down, which has been available in its low-res, freeware state since 2010, accomplishes this within minutes. 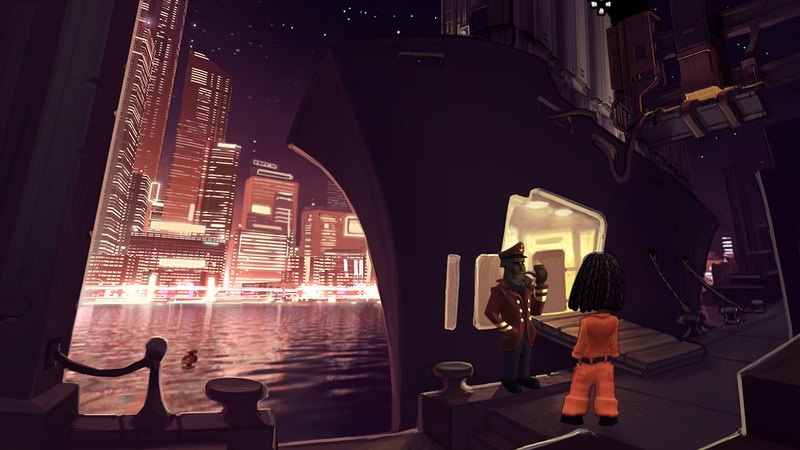 Aided by a streamlined interface that requires no explanation, The Journey Down: Chapter One blends classic point-and-click gameplay with an intriguing world, setting the stage for what could be an interesting story told over several episodes. 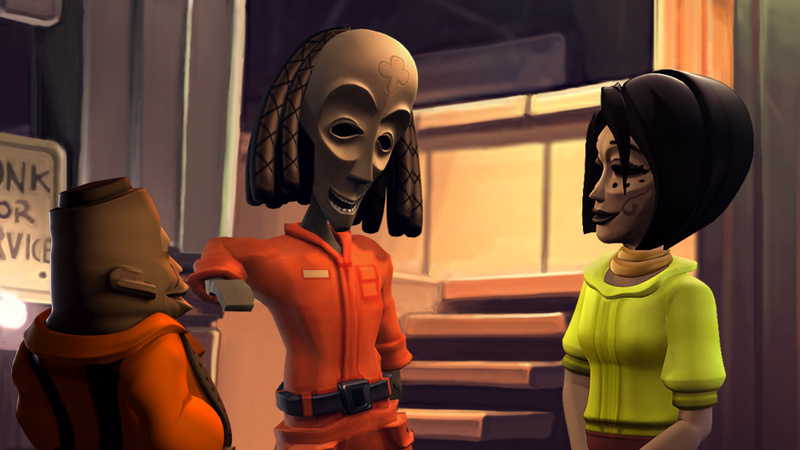 In addition to getting an HD makeover, the episodic version of The Journey Down has full voice acting and some additional gameplay content. Times are tough for Bwana and Kito, the owners of the struggling Gas 'n' Charter located on a sleepy Caribbean-inspired bay. Their charter plane hasn't been airborne in twenty years, and there aren't a lot of boats coming through for the sleepy island for gas. Things begin to look up when Lina, a potential customer, finds a mysterious book that belonged to Kaonandodo, Bwana and Kito's adoptive father, and finding the materials to fix the plane becomes the fetch quest that frames the episode. Of course, things quickly become more complicated, and you'll be sending Bwana around the bay to complete a convoluted chain of events that will get the plane in the air. Once it puts the story in your hands, The Journey Down delivers a straightforward control scheme that perfectly suits the genre. It doesn't have the verbal commands of yore, so you won't be clicking "open" and "pick up" to interact with the environment; instead, simply click on something to examine, pick up, or talk to it. Scrolling along the bottom of the page will bring up your inventory, and you can simply drag items to combine them or use them to solve puzzles. It works perfectly and does exactly what it needs to, and the fact that The Journey Down trusts the player enough to not over-explain the controls is a bonus. 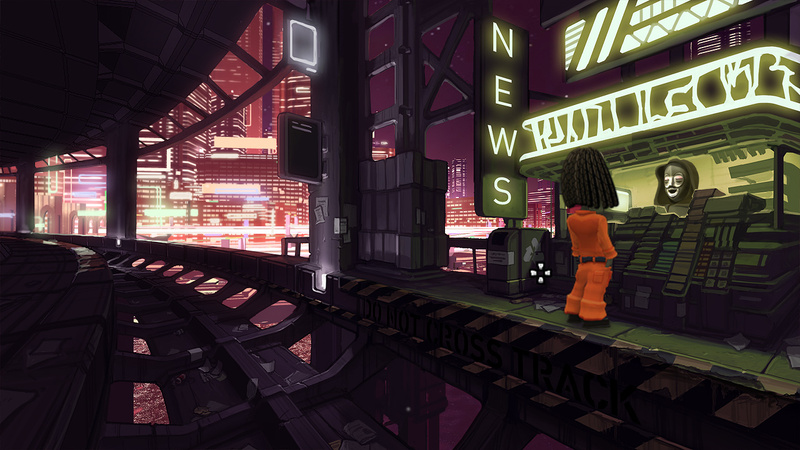 In addition to evoking feelings of old-school point-and-click nostalgia, The Journey Down definitely has style. Gorgeous painted backdrops show off Kingsport Bay's local hot spots, and the glimmering, imposing city of St. Armando can be spotted across the bridge. 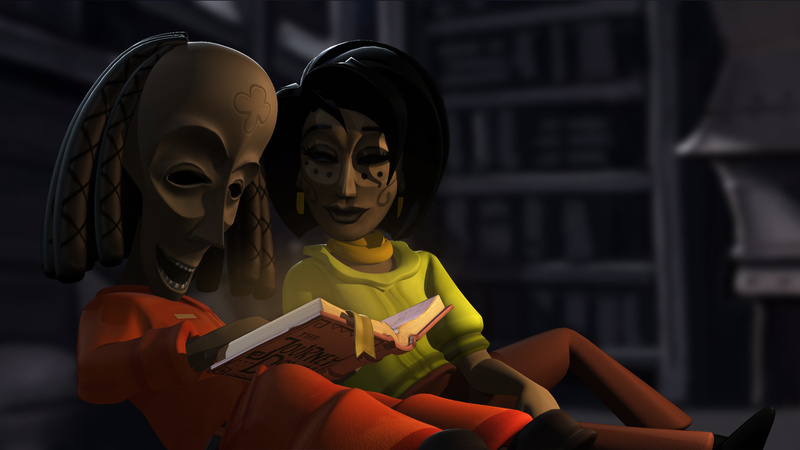 Bwana, Kito, and the rest of the game's characters are inspired by African masks, giving them a distinctive look not quite comparable to any other game in recent memory. At times, the characters and painted backdrops don't quite mesh stylistically, and the slightly distracting result is it looks like elements from two different games being mashed together. For the most part, The Journey Down makes the most of its HD upgrade, and its visuals are one of the game's high points. On the other hand, the voice acting is merely passable. The two main characters are consistent, but The Journey Down's supporting cast is hit-or-miss, and none of them stand out as being particularly stellar. 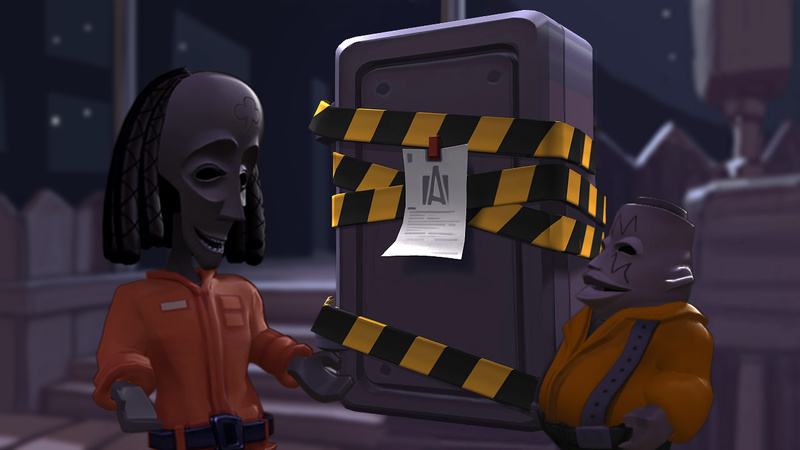 When it comes to adventure games, there are few things as satisfying as finally finding a use for that bizarre item you've been carrying around in your inventory. 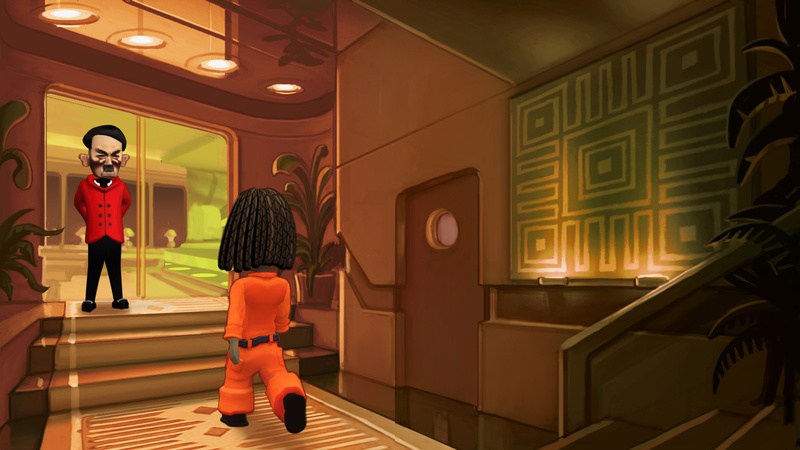 The Journey Down captures this feeling of delighted satisfaction with plenty of engaging, entertaining puzzles that unfold during the episode's two or so hours. It's held back by a few distracting flaws, but none big enough to make you want to stop playing, and the promise of a new central location in the second chapter will make you excited to start exploring all over again. 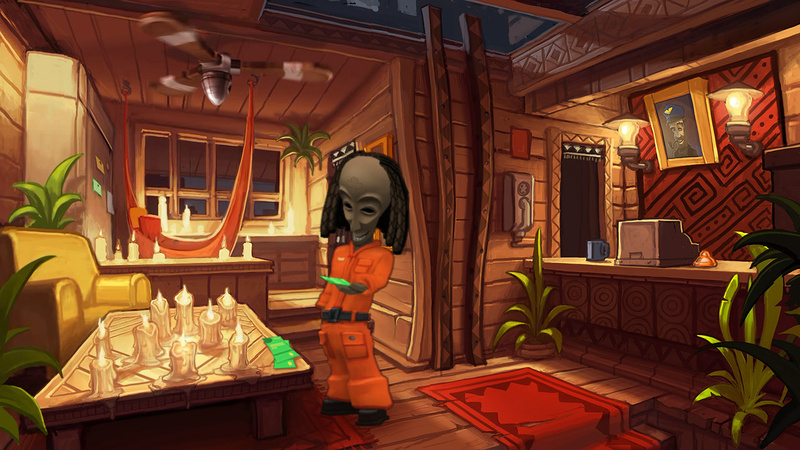 Whether you're nostalgic for the adventure games of the 1990s or you just want to play something different from the rest of the games in your library, The Journey Down: Chapter One is worth a look. Bottom Line: The Journey Down: Chapter One combines an intuitive control scheme, HD graphics, and classic point-and-click adventure gameplay to set up an intriguing story. The first episode lags a bit, and the voice acting doesn't add nearly as much as the improved visuals, but still shows a lot of promise for a potentially great series. Recommendation: The point-and-click genre certainly isn't for everyone, but if you're a fan of old-school adventure games, you'll be able to appreciate The Journey Down: Chapter One.